A Nation Led By Petty & Corrupt Ruling Comics! What Ayn Rand said in “Atlas Shrugged” succinctly captures what most Sri Lankans feel about their country, – a blessed land with great religious traditions, which history referred to in many flowering terms like the Pearl of the Indian, and Granary of the East, but sadly bastardized and polluted by a corrupt and a petty political class, specially in the Post-Independence era. She said “When you see that in order to produce, you need to obtain permission from men who produce nothing; when you see that money is flowing to those who deal not in goods, but in favors; when you see that men get rich more easily by graft than by work, and your laws no longer protect you against them, but protect them against you. . . you may know that your society is doomed”. 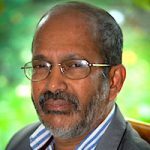 Judging by the recent developments in the Post-War period and the petty squabbles within the ranks of the government these days and the re-emergence of the ghosts from the MR era , signs are clear that Sri Lanka is on the way to sure doom if the intellectuals do not step in now and stem the rot. Actress Anoja Weerasinghe aptly captured the commoners’ feelings about this cursed ruling lot, in a recent TV interview. Every Sri Lankan who would have watched the elected Head of State Sirisena ( satirically referred to as Gamaraala) addressing the Commemoration ceremony of the late iconic monk Ven Sobitha Thero day ag , would have felt sick to the bones about the sad state of affairs prevailing in the country; seven decades after Sri Lanka got independence from British colonial rule. It was comical and a political entertainment to say the least; what he did and uttered were unbecoming of his position. Firstly, he says he did not receive an invitation to the event and therefore ‘gate-crashes’ and shamelessly bemoans that this is how he is being treated always and is being kept in the dark. Secondly, H.E goes on a tirade and delivers a fiery speech much in bad taste letting out his emotions endlessly apparently blaming his ‘other’- PM and his party for his inability to deliver goods to the country. Both reflect that he is indeed a puppet Head of State, little realizing that he is in fact the executive President of the country. He would have felt it imperative that he use this opportunity to play defence strokes when there is a general feeling and perception in the country that he is both a misfit with his credibility at an all-time low and walking the talk has not been his forte, judging by his dismal record of governance, being more interested in the SLFP than the country. He took particular umbrage in his speech at those who tried to blame him for his inaction against the corrupt by comparing him with the track record of the weeks old Malaysia’s Mahathir Mohamed government, which was also elected on a similar platform against a filthily corrupt Najib regime. During this speech , in the presence of a representative gathering including the Speaker, he began to wash dirty linen in style, not realizing that he was cutting his nose to spite his face. In a stroke of ‘ I am holier than thou’, he indicated how he, along with SLFP ministers was able to take up ‘bold’ positions within a UNP dominated cabinet , for example to save the state banks by overruling the decisions of the UNP to move funds to private banks. In the same breath, he also showed his impotence by repeatedly stating that he was not made aware of vital decisions, for example the decision to provide helicopters to MR after his defeat, to return to Hambantota, regarding which he was not consulted (He apparently forgot the fact that he stated on 09/04/2016 in a speech that it was he, who did so!!. Therefore he either lied or has been infected with the ‘Duminda’ syndrome). He also disowned any involvement in drafting the ‘100 day program’ as well. Coming from the common opposition candidate, people will wonder whether to laugh or to cry!. Ironically, one of my CT articles which appeared before the decisive January 2015 election was titled, “Can Maithri Be An ‘Attlee’ In The Making?” (who came to power defeating the war veteran PM Churchill); in retrospect, it was a misnomer indeed! On the other hand, UNP Stalwart Ajith Perera takes the floor of the House to blast the SLFP partner for all the inefficiencies of the government, citing the ‘Samurdhi program’ as an anti-government project hell-bent on making the UNP dominant government unpopular among the masses. He charged SLFP ministers of mala-fide and hypocrisy. He, in a very emotional tone tried to convince the electorate that this so-called Yahapalana slogan was well-intentioned at the start of the journey; but he bellowed that all plans fell apart due to the half-hearted, uncommitted and hypocritical SLFP/UPFA partners. Although there was some truth in the statement , however, it was common public perception that the efficiency of most Ministers, in this Jumbo stuffed ‘scientific’ cabinet, was questionable. ( we have a minister who think that floods will help the development process). PM Ranil, with his dictatorial and aristocratic attitudes proved himself to be a Colombo based leader with a top down approach, widely accused of being ignorant of village level realities offering WiFi to village peasants. He rules with an iron fist with his Royal College boy buddies. What he promised in terms of reorganization of the UNP hierarchy just fell by the wayside, limiting them to mere cosmetic changes. Of course, there was more space for freedom of expression compared to the MR times; but there is no proper process in place to deal with dissent ; in short there is organized chaos. Further, this government does not appear to learn lessons from the past in improving the quality of its’ governance and only keeps on justifying their lapses by stating that it is better than the last government in terms of degree and not quality. They fail to realize that it was because of lapses in the MR government that they were elected in the first place. Pointedly, the Yahapalana promises to deal strongly with corruption and racism were observed more in the breach; many cases involving questionable corrupt deals of the previous government and the MR family circles being still pending. The worst scam under this government started off early in their journey :the infamous Central Bank and still it is licking its’ wounds with many more skeletons in the cupboard emerging at different times. Even the action taken to alleviate the feelings of marginalisation of the minorities were too little with Tamils still feeling alienated and LLRC recommendations too being put in the back burner despite big talk during the initial stages. Even the action taken to stop anti-Muslim violence from Gintota to Digana were considered too little and too late, although this government may argue( as it always does) that their track record of arresting the culprits subsequently was better than the former; so the argument is along the degree of response! Further, treating the symptoms rather than the underlying causes( which is institutionalization of racism in statecraft and use of racism as a political tool) will only sweep the issues under the carpet. The country saw another bout of mud-slinging too between the two partners in government when the No-Confidence Motion against the PM was taken up in Parliament. Little did both parties realize that this series of mudslinging matches and washing dirty linen in public virtually made both of them get drenched in mud, consequently becoming the laughing stock of the nation as well as the world at large. Besides, the nation feels that there is no proper government in charge and is made to wonder where this insanity will lead it to? Reminds of times when CBK and Ranil locked horns! Hope it is still not a point of no return! The immediate beneficiary of this infighting in the government camp was the MR camp which has been cunningly and cleverly exploiting the internal political squabbles within the ranks of the government and public frustration and displeasure. The February LG Elections was a good indicator how people used their ballot to express their frustrations against an inefficient government which has lost its’ plot. In their attempt to use their vote as a mark of protest , they showed that they were prepared to take the risk of voting in back a regime which they earlier voted out on grounds of corruption and racism. Dubbed as the third force with a relatively cleaner track records, JVP even could not muster enough votes to create a dent in the vote banks of the major parties. Perhaps, Sri Lanka appears to be content with a ‘two party’ political system, however corrupt and inefficient they are. To be fair to MR and Gotabhaya Rajapakse , despite their other deficiencies , they were considered as strong leaders whose style of management worked well in winning the Tiger war. In that count, both Maithri and Ranil were virtually lower down in the list. There is also apparent hive of activity by MR activists in recent times,to stage Gota as the next Presidential candidate with his widely known ‘Viyathmaga’, with the UNP accusing him of plagiarism. It is interesting how the two MR’s brothers Gota and Basil are using Ifthar Politics to win Muslim votes . Recently, Gota was given a rousing welcome in an unexpected place- Beruwela ,which area Gnanassara’s BBS (of which Gota was known to be its’ patron saint) and its’ goons staged the infamous mini-1983 style Aluthgama attacks on Muslims; while Basil visited Galle with Arabic welcome songs being sung along the way. Both assured Muslims that no harm will come their way under a future regime where they will obviously be part of. Such promises, going by past performances, are like a line drawn on water and observers view it as a mere vote catching exercise. Nevertheless, although Ifthar has been exploited by many as a political tool, this recent developments will be interesting to watch, in view of the increasing significance of the MR factor in a future government. One of the hallmark corruption scams right at the start of the’ Yahapalana’ journey was the infamous Central Bank bond scam. Details of the scandal have dogged the UNP since it became public in March 2015, just two months after the decisive political victory, after the common opposition front campaigned on a platform of good governance and accountability to defeat MR’s authoritarian and corrupt regime. This scandal also has broader business implications, not least because it reinforced a global impression of Sri Lanka as a country where corruption remains rampant. It was also a factor in Sri Lanka’s fall in the Corruption Perception Index, released annually by Transparency International, a global anti-graft watchdog, and analysts say it has complicated the government’s struggle to finance foreign debt repayments. The bond scandal has shaken international confidence, according to financial analysts, who say foreign investors are unimpressed by the Sri Lankan government’s claim that the bond scam was duly investigated and the then Minister of Finance RK was asked to resign. 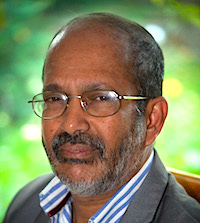 Mahendran was forced to resign too and now at large with an Interpol warrant over his head while Aloysius accused of having access to inside information is presently behind bars. There were wide allegations against Ranil as well implicating him in this scam for having brought Mahendran in, despite advice to the contrary. The inquiry has also revealed extensive insider trading on the debt side of Sri Lanka’s capital markets, going back to the MR years. Witnesses before the Bond Commission have painted a picture of a business-political nexus drawn from an ultra wealthy and socially privileged section of Colombo society. As Jayadeva Uyangoda, a social scientist says, ‘An estimated 3 million young voters backed the coalition in 2015 because they wanted an ethical and clean government. They have lost faith in Ranil, and the UNP has squandered its political capital as a party with a leader appearing to be a modernizer”. Then, many politicians in the government have been seen to have had telephone contacts with Aloysius including Sujeewa and Ajith, known as the ‘Footnote Gang’, despite being part of the COPE . Recent revelation of ‘rogue’ former minister Dayasiri led to the opening of another cesspit of corrupt deals. He admitted accepting Rs.1.0 Mn from Aloysius, but said that it was for his election campaign. It was an outright lie; but the worst part was what he said later. He implicated 118 more among the parliamentarians who took similar bribes from Aloysius and the rabbit hole thus goes deeper. This is just part of the extent of corruption which has been polluting the political fabric of Sri Lanka. At a time when people are being asked to tighten their belts and observe austerity, these filthy political class from top to bottom has been plundering public resources to fatten their purses. Thus, marred by serious allegations of corruption and mismanagement, Sri Lanka’s much-hyped Yahapalana government appears to have very little to celebrate as it completed three years in power, and appear to have lost its grip as public confidence dwindles over its failure to live up to its pledges of good governance free of corruption, despite the rhetoric during the run-up to the 2015 presidential and parliamentary elections. As he says, ‘An independent, competent Judiciary is one of the checks of legislative power. In order to control corruption, the courts will need independence from any interference, they will need appropriate financial, institutional, professional resources (investigators, prosecutors and judges) and a relevant authority to execute its rulings (Police). But, corruption has become so endemic and has gone beyond political circles- even judicial reflected by the whistle blower revelations in the recent past. So as the saying goes, ‘When the fence eats the crops, to whom can we complain?’. However, good news is that the majority of those in judicial service cannot be put in the same boat and it behoves on them to save this important institution from following the way of their legislative cousins. More importantly, a free press and an active civil society (for instance non-Governmental watchdog organisations and monitoring associations) are also highly relevant to counter powers to restrict corruption and executive abuse. Public activism and intellectual activism is paramount too, to counter this threat to the social fabric of this country and to educate the general public to elect only those who are free from corruption. The public needs to be reminded that since corruption affects everyone, fighting it is a national issue. Trust in government is essential for social cohesion and well-being. Today, more than ever, citizens demand greater transparency from their governments. Information on the who, why and how of decision making is essential to hold government to account, maintain confidence in public institutions and support a level playing field for business. Greater transparency is not only key to upholding integrity in the public sector; it also contributes to better governance. Indeed, openness and transparency can ultimately improve public services by minimising the risk of fraud, corruption and mismanagement of public funds. However, in the overall Sri Lankan context, at a challenging time in history when those who are entrusted with the task of governing our affairs are both corrupt and inefficient and having fallen from the frying pan to the fire, it behoves on all of us as bystanders to raise our collective voices against these social evils of corruption, form alliances across various ethnic and religious groups, political parties and gender differences to fight this common curse of corruption in the ruling class , push for measures to reduce extravagance in government spending and also make the elected government to work for the masses who elected them. Another area to focus on will be public engagement in decision making which promotes government accountability, a friendly business environment and public trust in government institutions. Indeed, a country’s laws and regulations contain much information about how a society is organised, the rules of the game and the political decisions taken. If citizens can participate in the development of these laws and regulations, it is more likely they will comply with the rules. Unless public becomes vocal and claim what is due, the greedy political class will not budge. Thus, only activism at the grass root levels can make a difference and continued public apathy and indifference will encourage further corruption and also take the country towards the oblivion. The train taking Sri Lanka towards oblivion has already left the station thanks to our comic political class and unless we hurry, there will be not much time left before the nation becomes a failed state and a bigger laughing stock in the eyes of the international community. Lukman Harees has aptly quoted Actress Anoja Weerasinghe here. She should have said “Rich getting filthy rich….”. The day religion started, temples, churches, mosques proliferated. Pinching off the till started. In Lanka this reached Tsunami dimensions and we are tol to get swimming lessons. The wrongdoers are not petty but bigtime and well organised. They are certainly NOT clowns. Sri Lanka will never learn a lesson. Sri Lanka is next to Nigeria and Pakistan in corruption. There is a joke between Pakistan minister and Indian minister about corruption..
Now Sri Lanka could join the all.corruption competition. Corruption seeped in to Sri Lanka when SWRD listened to his demons and decided to corrupt the once peaceful nation. Sri, It is useless to accuse SWRD. This had been going on for years, with the temple at the center.Recent excavations had exposed the fact that Buddhist Priests of yre had demanded that the women in the village,wives and daughters, be left at the temple in the morning and rescued after payment in the evening. The best antidote is either sanctions, which will make our electors to see the problems created by the politicians or seek N.Korea’s help to end this merrygo round. Yahapalanaya is certainly a comedy of errors; Sirisena and Ranil are can be compared to Madanamutta and Andare.